Hosts are so friendly. There is nice restaurants near the hotel. Its better to make reservation before go especially for dinners. The beach is wavy in the afternoon. Friendly helpful owners. Nicely refurbished rooms. Good breakfast selections. It was great to know that we had a beach just in front of the Hotel. The staff was very friendly, parking was always available, the surroundings were quiet, great restaurants in walking proximity, and very well versed breakfast. You should definitely try the yoghurt with honey during breakfast. Quiet , peaceful , clean hotel. Warmblooded family business. Everything was perfect! The breakfast was excellent. There was no problem finding a parking nearby. Personnel, consisting of mother, daughter and housekeeper, became like a family. Even though the village was small there were several restaurants most of which had good food. The room we had was large, had a good and large balcony in the shade during the day, which was an advantage when it would otherwise be hot in the sun. It was quiet and quiet in the village, no disturbing traffic, no barking dogs and no crowds with other tourists. Here is safe and safe, no thieves, better than at home. We loved everything, such a peaceful location and very friendly people. 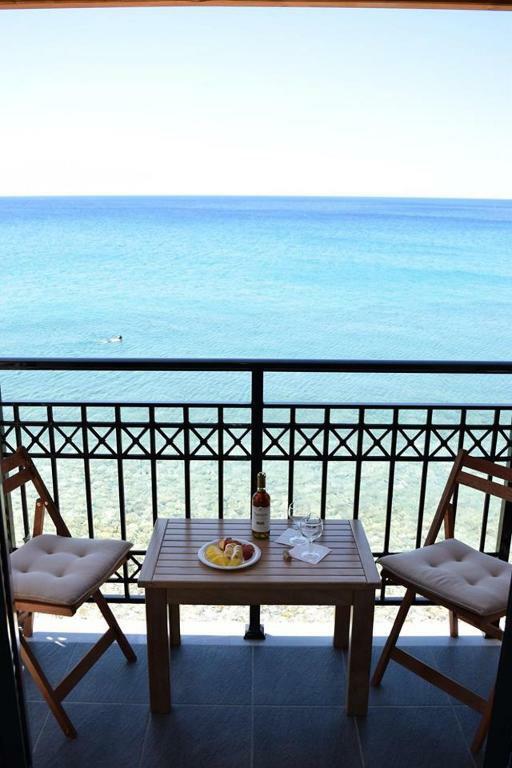 Lock in a great price for Amfilissos Hotel – rated 9.5 by recent guests! 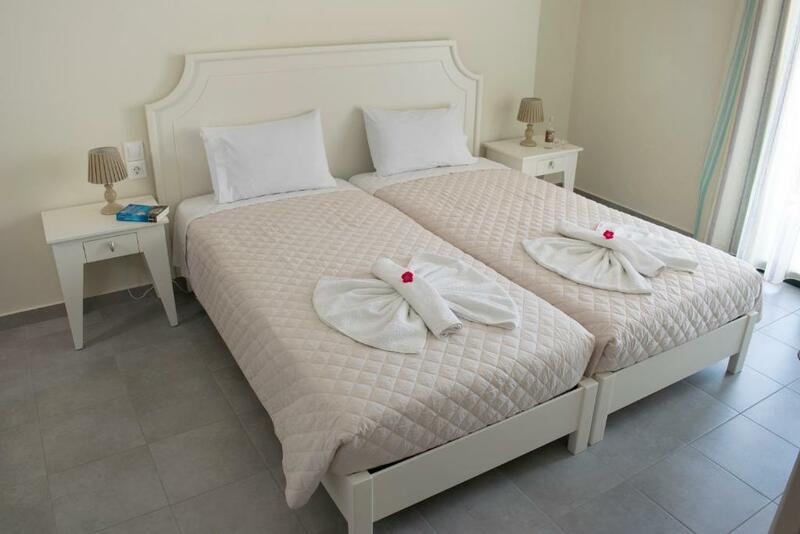 Amfilissos Hotel This rating is a reflection of how the property compares to the industry standard when it comes to price, facilities and services available. It's based on a self-evaluation by the property. Use this rating to help choose your stay! 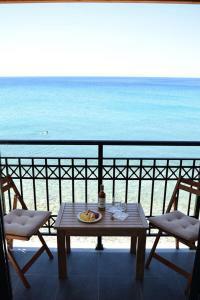 Amfilissos Hotel is set right on the beach in Balos. 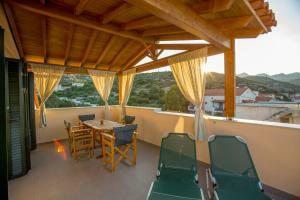 It offers accommodations overlooking the Aegean Sea or the garden from their private balcony. Free WiFi access is available. Some units at Amfilissos Hotel feature a kitchenette with refrigerator. The private bathroom comes with a shower. Extras include an outdoor seating area. Upon arrival, guests are welcomed with a bottle of water and local wine. Guests can enjoy a breakfast including homemade delicacies, served daily at the property's dining area. 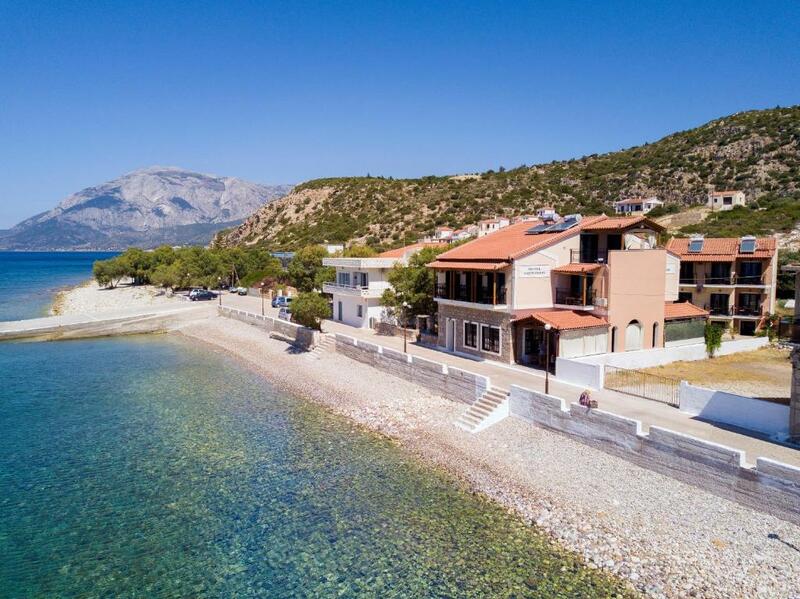 Samos Port is at a distance of 19 mi and Karlovassi Port is 12 mi away. This property is also rated for the best value in Koumeika! Guests are getting more for their money when compared to other properties in this city. 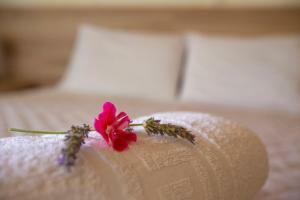 When would you like to stay at Amfilissos Hotel? Offering partial sea views, this air-conditioned room opens out to a balcony. The private bathroom comes with a shower. Extras include an outdoor seating area. 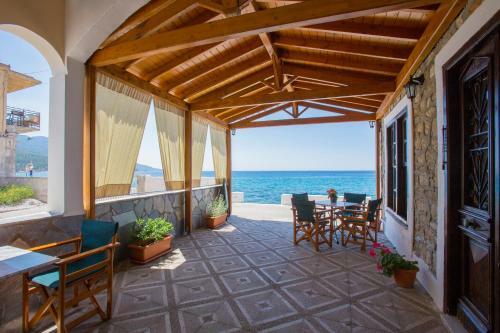 Offering garden and partial sea views, this air-conditioned apartment opens out to a balcony. It offers a kitchenette with fridge. The private bathroom comes with a shower. Extras include an outdoor seating area. Located on the ground floor, this air-conditioned apartment opens out to a balcony with garden views. It offers a kitchenette with fridge. The private bathroom comes with a shower. Extras include an outdoor seating area. Offering sea views, this air-conditioned apartment opens out to a balcony. It offers a kitchenette with fridge. The private bathroom comes with a shower. Extras include an outdoor seating area. This apartment has a balcony, tile/marble floor and air conditioning. House Rules Amfilissos Hotel takes special requests – add in the next step! Amfilissos Hotel accepts these cards and reserves the right to temporarily hold an amount prior to arrival. Please inform Amfilissos Hotel of your expected arrival time in advance. You can use the Special Requests box when booking, or contact the property directly using the contact details in your confirmation. the toaster was not easy to handle ... but thats all! Hotel great. Location remote if you have no car. No grocery shopping. In fact no shops. No transport either. Need swimming shoes as beach is rocky. No lift so you have to carry your suitcases up stairs. Be prepared fot the mosquitoes. A little off the map, if you don’t have a vehicle it might be tricky to go around somewhere. The closest small market is around 2 kms. Lacked shower curtain and we had to wipe the floor every time after shower, that was the only thing. Nothing could be better because it's all perfect. It is hard to reach there without a car or any other vehicle.